When looking for Karate Near Me Keller TX classes and opportunities, it can be very easy to get overwhelmed. Are you trying to make sure you have the right karate and Taekwondo classes for you and your kids? If you’ve been searching all around town but you don’t know what you’re looking for, we can help you. 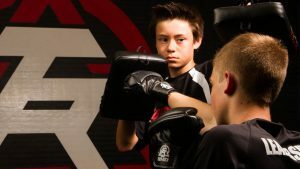 At Tiger-Rock Martial Arts, you’ll be able to count on our professionals to give you the help you’re looking for. Having a good level of physical fitness is something that should be one of your first priorities. Are you someone who used to take great pride in being physically capable of great things, but now your body is failing you? Perhaps you’re unable to lift as much s you used to during your “prime”, and your speed and stamina are regressing as well. This can be very intimidating for former athletes, and nobody wants to experience this. While you might be temporarily discouraged, the professionals here at TRMA can help. Together, we’ll get your perspective back on track and restore your athleticism. Making sure you’re physically capable isn’t the only thing we can do, though. Are you someone who is trying to develop a sharpened mind? Maybe you’re unsure of why you’re going through so many mental lapses during work or school. These are very common problems, and it’s important to make sure you’re able to get through them successfully. If you’d like some assistance with this, we highly suggest signing up for our Taekwondo lessons. There are numerous studies that show the benefits that martial arts have on the brain. While this is sometimes only looked at as a physical activity, it engages the mind, too! You will be able to experience a heightened level of focus, concentration, and discipline. Commit yourself to our classes to become the best version of yourself. Our instructors are here to help you every step of the way. Do you have young toddlers who are interested in karate classes? Maybe you’re noticing their early passion and you’d like to set them up for success later in life. This is something that virtually every parent wants to do, and TRMA is here to help. Our Tiger-Cubs program is perfect for children ages 4-6, and it will give them the opportunities you want for them. These are 30-minute classes that help them become more disciplined and confident. It will also be a fun way for them to get some exercise and meet new kids! Tiger-Rock also has courses and classes for teenagers as well. Adolescents go through a lot, and it’s not always easy to be a teen in today’s society. Are you noticing that your son isn’t having very much fun in high school? Perhaps your daughter dreads going to her classes and you’d like to help her take advantage of this time in her life. If this sounds like your problem, we’ve got solutions in the form of classes. These are great opportunities that will give your kids access to a healthy atmosphere that promotes growth. While we have programs for children, we never forget about the classes for adults. Are you someone who never took karate classes as a kid, and you’re ready to start now? Perhaps you were a Taekwondo master back in your heyday, but now you’re unable to do what you used to. Regardless of your level of experience, you can count on us to help you get the best out of yourself. Our instructors can evaluate your performance and help you develop a plan that leads you straight to success. If you’re trying to find a dojo that will give you what you’re looking for, you might be on the hunt for a place that promotes flexibility. Are you always on the run and you’re trying to find something that’s not going to hinder your schedule? Perhaps you also travel a lot and you’re unable to make a scheduled class time on a regular basis. At TRMA, we understand that everybody’s different, and we want to be able to fit into your life. We’ve all got busy schedules, and they’re all susceptible to change at any minute. If you’re someone who’s always on the run, you’ll be glad to be a part of Tiger-Rock. We are constantly adding new time slots to our schedules, and you’ll be able to enjoy this as a student. In addition to this, did you also know that you have access to every one of our American karate dojos? Sign up here in Keller, and you’ll be able to train when you make those business trips to Dallas and Houston! Tiger-Rock is ready to work with you today! Make sure you take advantage of the Karate Near Me Keller TX opportunities that are around our great area. 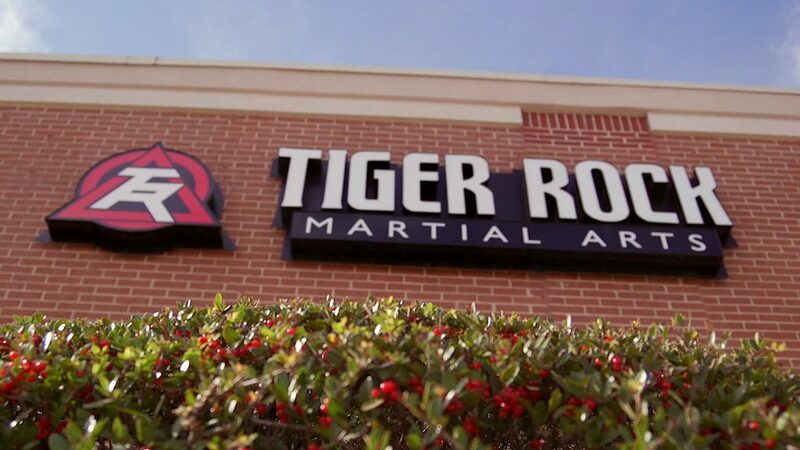 If you’re ready to start making the most out of the local karate classes and Taekwondo lessons that Keller has to offer, Tiger-Rock is here for you. Contact us today to learn more about what our courses include; our team would love to speak with you! We can also give you details on our special introductory course packages. These opportunities will help you learn more about our dojo while also receiving a performance evaluation! If you’re trying to find out where you’re currently at and where you need to go, now is your chance. Keller is a city that sits within Tarrant County. If you are familiar with the Dallas-Fort Worth metroplex, you’ll be glad to know that it’s easily accessible from Keller. We are very well-known for our community safety. We place a high priority on keeping our citizens safe and protected around the clock. In 2016, we received countless awards for our continued efforts towards improving our safety measures. The original Keller settlement was founded in the 1850s, but we didn’t become an officially incorporated city until a hundred years later. In the beginning, this was a town that was known for its farming and cattle. Many people would meet here to trade goods and services. Today, we are known for our affordable real estate, safe neighborhoods, and improving the economy.